Amid the growing nuclear threat from North Korea, Washington is considering taking steps to protect itself by turning its Aegis missile defense facility in Hawaii into a combat-ready complex. While no decision has yet been made, Captain Darryn James, spokesperson for the US Pacific Command, told Reuters that high-level discussions are taking place on ways to secure Hawaii, Guam and the continental United States from ballistic missile threats. James says the Aegis Ashore site on Kauai island has a "proven test capability," and can be converted to a combat complex. The comments came after North Korea claimed to have tested a miniature hydrogen bomb earlier this month. "Admiral Harris [commander of the US Navy in the Pacific] is always exploring options to forward deploy and operationalize the latest advancements in ballistic missile defense technologies in the Pacific, where we face increasingly sophisticated threats to the homeland," James said. 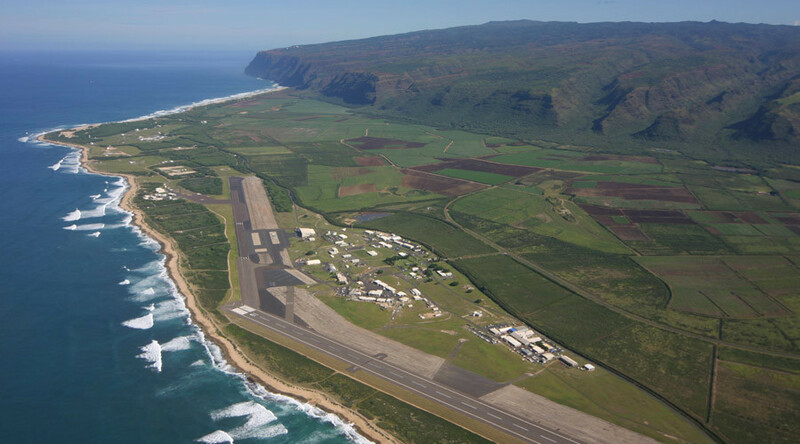 The Aegis Ashore Missile Defense Test Complex, owned by Lockheed Martin, is located southwest of Kauai, Hawaii, at the US Navy’s Pacific Missile Range Facility. While the discussions about the facility have been ongoing on Capitol Hill since 2014, the renewed North Korean threat has given the Hawaiian site a new impetus. According to Reuters’ sources the conversion of the site, if given the green light, could be done “swiftly” and would cost the American taxpayer $41 million for the extra personnel and stock of live ammunition. Security at the site would also need to be increased, and the Hawaiian complex would need to be further integrated within the wider US ballistic missile defense system - with command of the site transferred from the Pentagon's Missile Defense Agency to the US Navy, the sources said. China, another Pacific naval power, has expressed concern over the possible build-up of US military capabilities in the region, as it sees the potential conversion of the Hawaii facility as a threat to its plans for disputed islands in the South China Sea. "All measures seeking to increase military capacities will only intensify antagonism and will not help to solve the problem," said Zhu Haiquan, spokesman for the Chinese embassy in Washington. Independent journalist John Letman agreed, telling RT that if Washington agrees to the conversion, it will “just heighten tension” in the region. “Rather than vigorously pursuing diplomacy with North Korea, perhaps as we have with Iran, instead you have one more reason for them [North Korea] to act belligerent, which in turn we react by upping the ante ourselves [by] more missile defense prepositioning and military testing,” Letman said. Washington already has defense systems in California and Alaska to tackle potential threats against the West Coast of the US. Russia, which also maintains a Pacific fleet, has for years spoken out against US and NATO efforts to beef up missile defense sites across Eastern Europe. It is highly unlikely that Moscow will welcome the new move in the Pacific, as it criticized the deployment of the Aegis Ashore system at Romania’s Deveselu airbase.